Our AfriCanyon river adventure starts with registration, getting your wetsuit, kit and a quick briefing at basecamp. We then transfer you to the river entry point, a short drive in our vehicle and within minutes you are on your way. A brilliant combination of fun and adventure in the great outdoors! Run the river with AfriCanyon, navigate through the river shallows, swim through natural tannin coloured fresh-water mountain pools, maneuver down water slides and abseil waterfalls as you dip down into the river gorge. 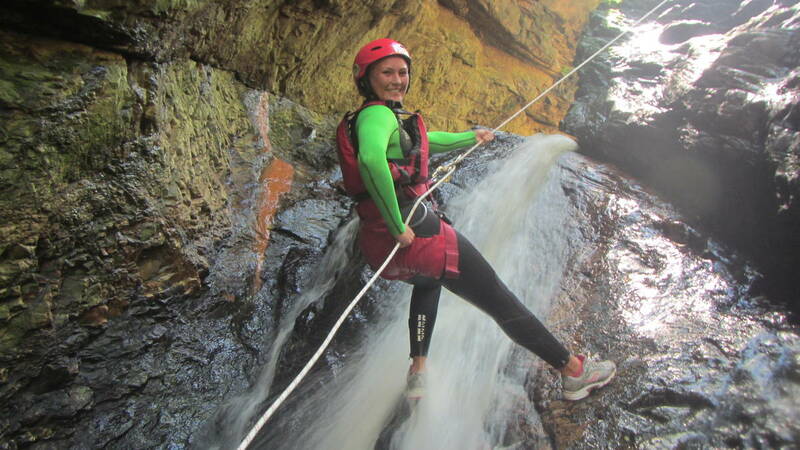 First timer, novice or seasoned at canyoning we’ve got your back. 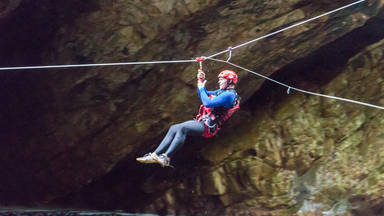 Under our professional guidance, using the latest spec adventure equipment your qualified guide ensures a kloofing adventure you simply can’t get enough of. So Take the Gap, Feel the Rush. WhereCUSTOMERS - PLEASE ENSURE YOU GET TO THE AFRICANYON BASE 1 HOUR BEFORE YOUR SCHEDULED BOOKING FOR BRIEFING AND EQUIPMENT ISSUE / GEAR UP. LATE CUSTOMERS WILL BE LEFT BEHIND. Things to BringSwimming clothes, shoes to swim in (or rent them from us) and a towel. NB – GROUP SIZE – If your group size is greater than 10 people and you would like to do the activity together please contact the office and arrange for a special trip. NB – ALL CUSTOMERS ARE TO PLEASE BRING A PAIR OF SHOES WITH THEM SUITABLE FOR SWIMMING AND FOR RIVER WALKING. If you do not have suitable shoes you can rent them from us at R50,00 / pair. CUSTOMERS MUST ARRIVE 1 HOUR BEFORE THE BOOKING TIME FOR SAFETY BRIEF AND EQUIPMENT ISSUE.